After 35 years, in 2009 I retired from a fabulously rewarding senior management career in the BC health system. With the luxury of time on my hands, I wanted to expand into other art mediums. 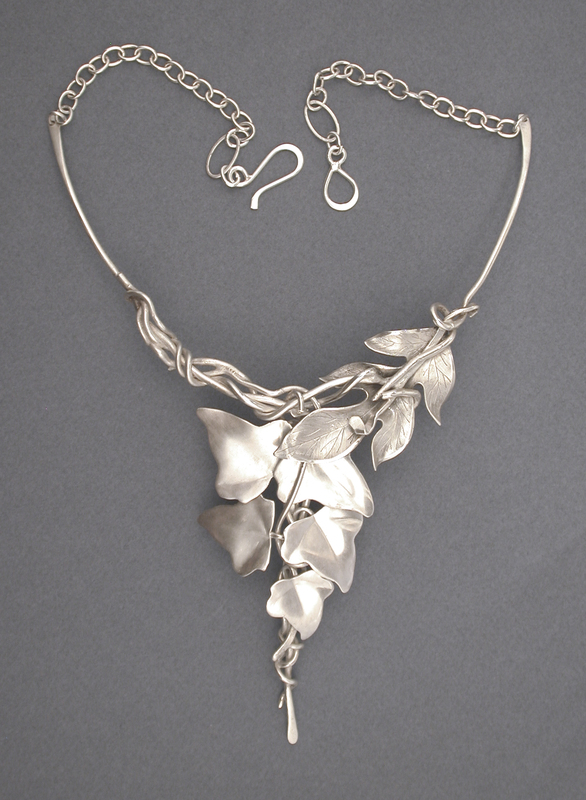 My love of sculpture and the bling, led me to pursue training in the fundamentals of silversmithing and gemology. 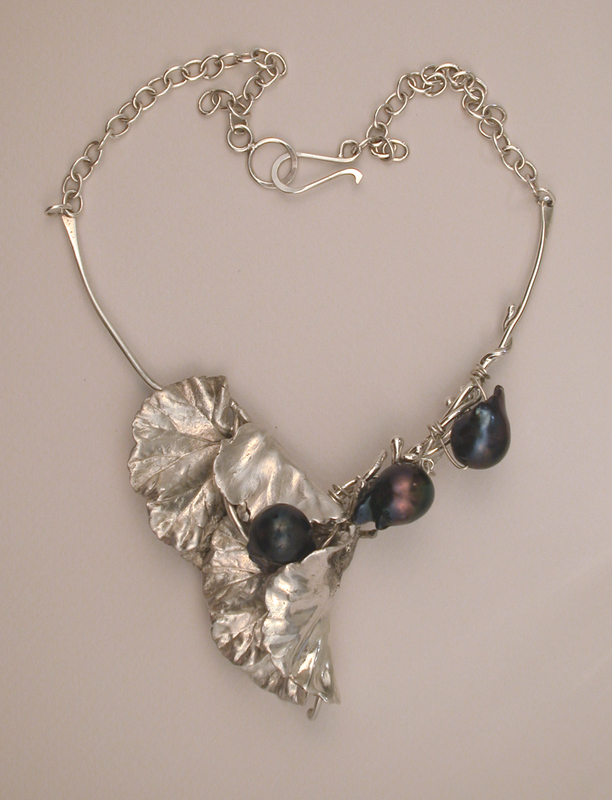 At the beginning, my jewelry designs were dominated by semi-precious gems. As time passed, like my paintings, elements of nature became the focus. 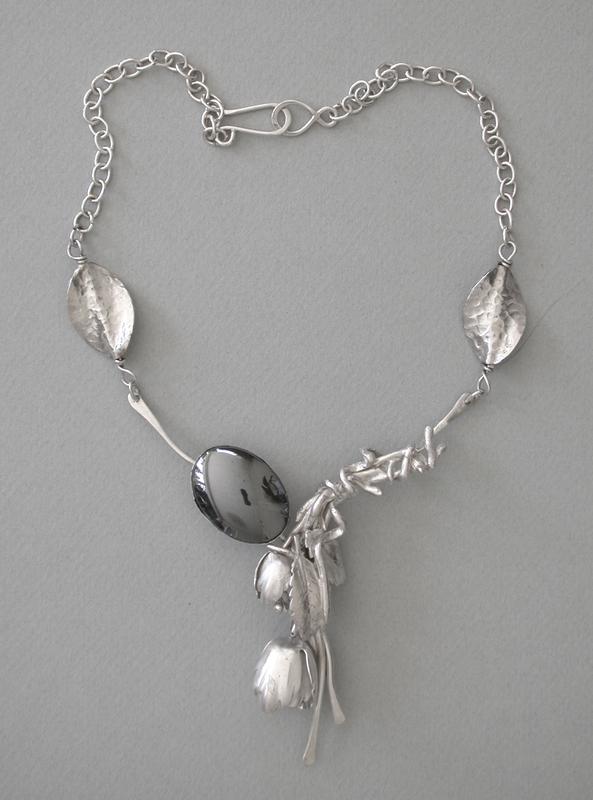 Working primarily with sterling silver and occasionally bronze, copper and brass, these metals are transformed into one-of-a-kind sculptural necklaces, earrings, and rings. 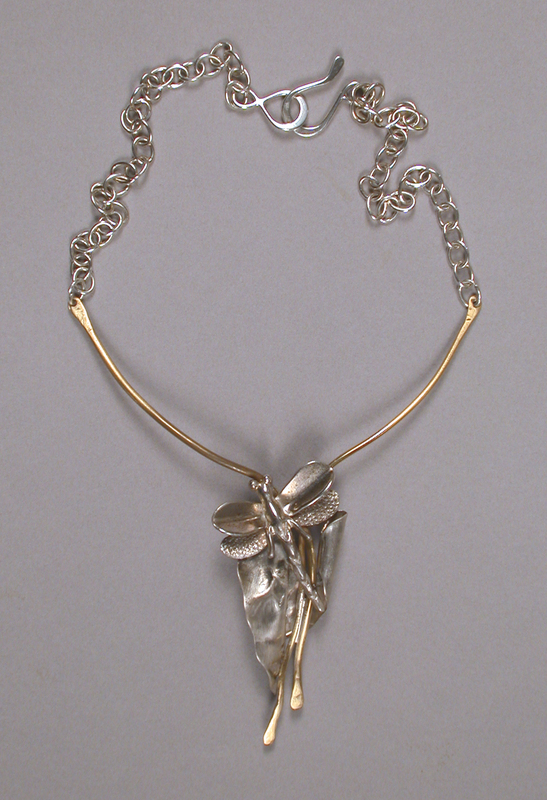 Using hand forged, hammered, fused, cast or reticulated elements, each composition is a unique handmade piece of wearable art. For me, each step of the process from design through fabrication to finishing is an exciting creative journey filled with opportunities to continually explore new designs, refine techniques and learn new ones. 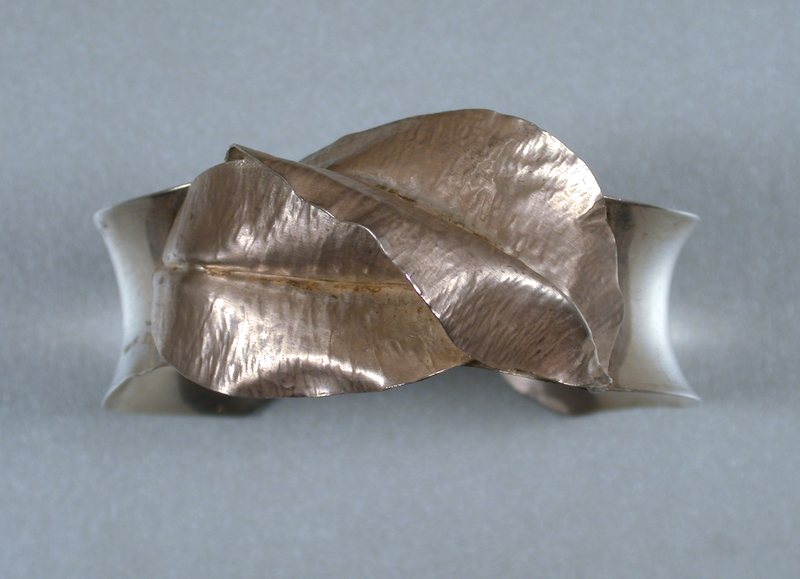 Some of my most satisfying creations have been those designed in collaboration with clients who wanted to incorporate or transform a treasured heirloom into a contemporary piece of jewelry.